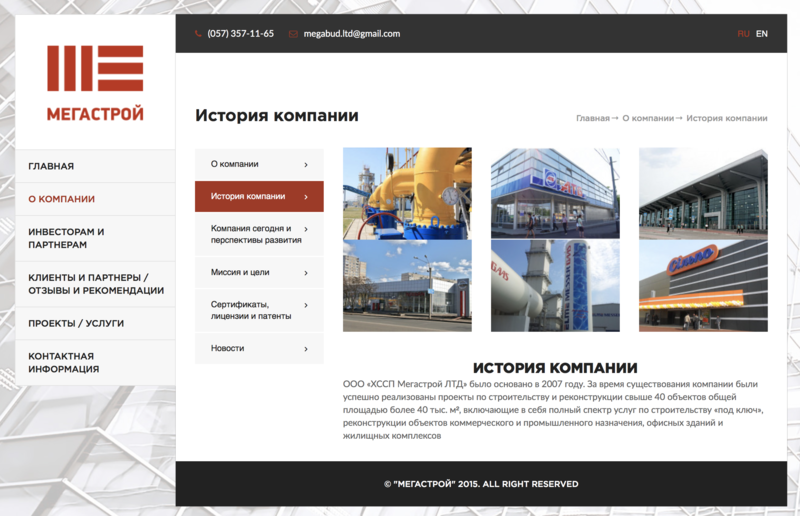 Megastroy Ltd. is a construction development company with a great history. 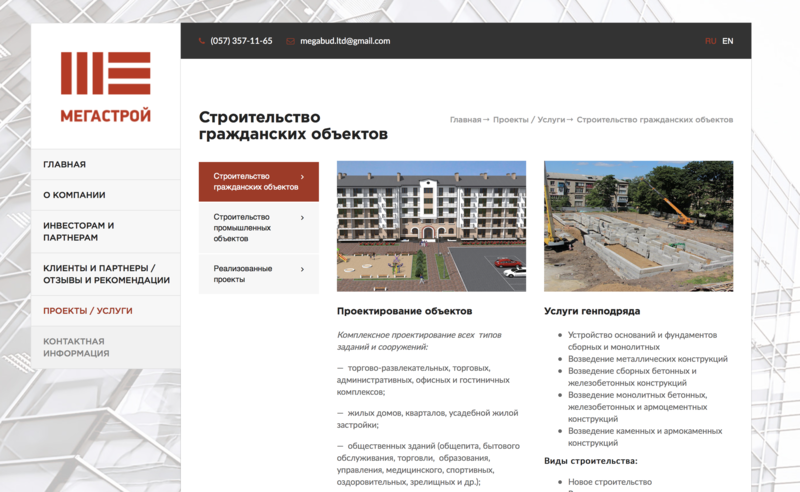 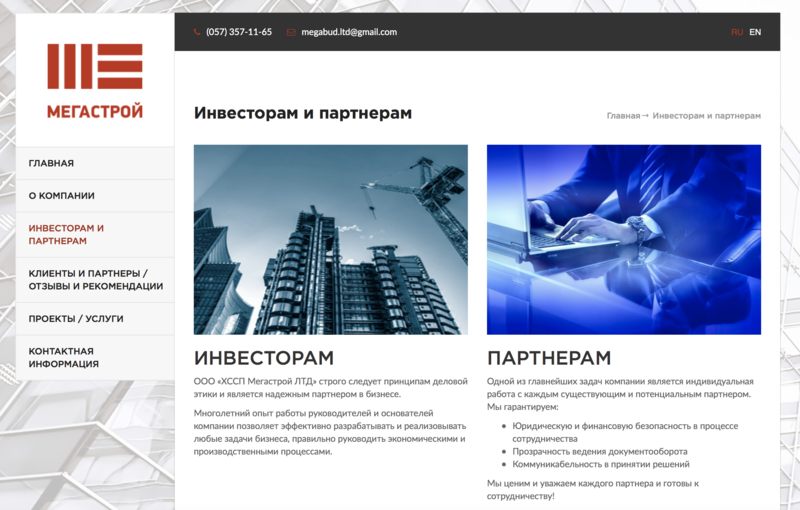 The website was made accordingly to the corporate colors and company’s image on the market. 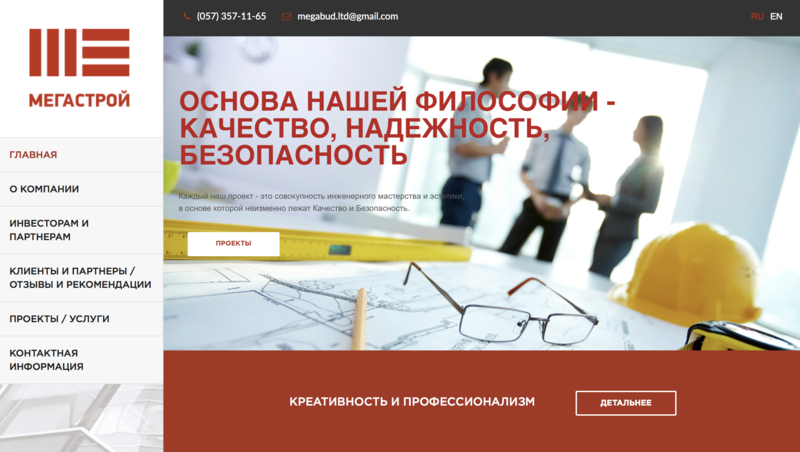 Simplicity and rigidity formed the basis of this website.